Today on the Google home page is yet another logo celebrating the life on Raymond Loewy on his 120th birthday. 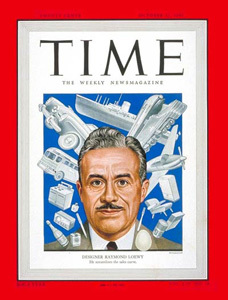 Raymond Loewy was a well respected industrial designer who designed some of the most iconic brand logos and designs we still see and recognize today. This includes the Shell, Exxon, TWA and the former BP logos, the Greyhound Scenicruiser bus, Coca-Cola vending machines, the Pennsylvania Railroad GG1 and S-1 locomotives, the Lucky Strike package, Coldspot refrigerators, the Studebaker Avanti and Champion, and the Air Force One livery. Lowey was featured on TIME magazines' cover on October 31, 1949. He was born on November 5, 1893 in Paris, France and died on July 14, 1986 at the age of 92 in Monte Carlo, Monaco. He did however spend most of his time in the United States with citizenship in both France and the United States. For more on his life, see Wikipedia. Today on google.co.uk there is a special #GoogleDoodle to honour the man dubbed by some as the "father of industrial design." 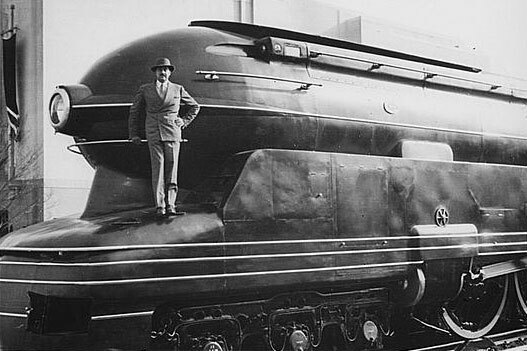 Raymond Loewy was an industrial designer, who was credited with designing the S1 Steam Locomotive, the iconic Coca-Cola bottle and the Greyhound bus. "He began drawing for Vogue, Harper's Bazaar and Vanity Fair before moving into industrial design towards the end of the 1920s."